Finger Lakes Television is an independent TV station that makes it possible for schools, governments and the general public to broadcast original programming to Ontario County and portions of Wayne, Yates and Seneca counties. Finger Lakes Television was established in the 1980’s when the city of Canandaigua signed the franchise agreement with Time Warner Cable (called Cablevision Industries at the time). A provision of that agreement created a public access channel. The city looked to a variety of organizations with which to contract for providing the service to the area, finally settling on Finger Lakes Community College. Finger Lakes Television is not a department of the college, but operates independently through in-kind donations of space and administrative services. Local governments and private donations cover costs of equipment and personnel to record and broadcast local programming and to air educational and cultural program that comes via satellite. The station contributes to the college mission by providing hands-on opportunities for students to assist with the recording and airing of city council meetings in Canandaigua and Geneva and special events. Finger Lakes Television is an independent public access cable TV station that reports to a community Advisory Board. 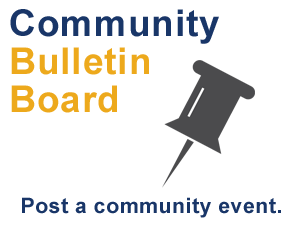 For more information about the Advisory Board, contact the FLCC Community Affairs Office at communityaffairs@flcc.edu or 585.785.1623.